Why is the frog on fire? Can it control the fire? How is the frog feeling? The title is ‘Most Fires Are Started by Frogs’. 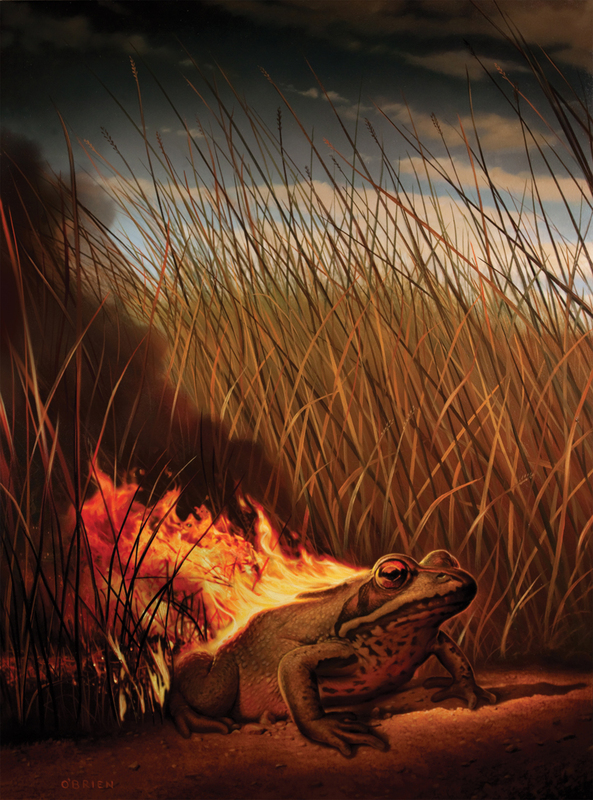 Why do frogs start fires? How do they start fires? Write an explanation of this phenomenon. Who puts the fires out? Is there anything that humans can do to prevent these fires? Write a set of instructions for preventing and/or extinguishing frog fires. In real life, what are the common causes of forest fires? What can be done to prevent them? Question 2: It probably has to do with the substance, idk.